Russian attorney Natalia Veselnitskaya is charged in federal court with obstruction of justice in connection to a civil money laundering and forfeiture case involving a Russian tax refund fraud scheme; Catherine Herridge explains the connection to Fusion GPS, the firm behind the anti-Trump dossier. Russian attorney Natalia Veselnitskaya, who was at the center of a controversial 2016 Trump Tower meeting, was charged in federal court on Tuesday with obstruction of justice in connection to a civil money laundering and forfeiture case involving a Russian tax refund fraud scheme, first uncovered by the late Sergei Magnitsky. Veselnitskaya represented Cyprus-based real estate holdings company Prevezon Holdings, in a money laundering lawsuit brought by the Justice Department in 2013. In the case, the government sought to prove that Veselnitskaya’s clients had received and laundered a portion of the proceeds of a Russian tax refund fraud scheme involving corrupt Russian officials. “As alleged, however, Veselnitskaya concealed from the Court that she, as a member of the defense team in the Prevezon action, had participated in drafting those supposed exculpatory investigative findings in secret cooperation with a senior Russian prosecutor,” federal prosecutors said Tuesday. “Fabricating evidence – submitting false and deceptive declarations to a federal judge – in an attempt to affect the outcome of pending litigation not only undermines the integrity of the judicial process, but it threatens the ability of our courts and our Government to ensure that justice is done,” Manhattan U.S. Attorney Geoffrey S. Berman said in a statement. 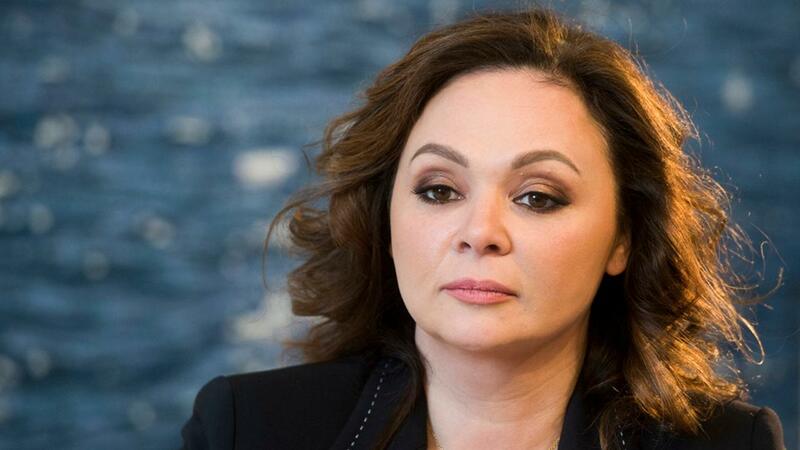 Special Agent-in-Charge Angel M. Melendez said that Veselnitskaya is “now a wanted person in the United States for intentionally misleading U.S. investigators.” Veselnitskaya does not currently live in the United States. The scheme was first uncovered by the late Sergei Magnitsky, a Russian legal adviser who was hired by American-born British businessman Bill Browder to uncover details of massive financial fraud in Russia involving corrupt Russian government officials. Magnitsky was imprisoned and ultimately beaten to death while in custody. In the wake of his death, the U.S. passed a law in his name that brought sanctions against Russian oligarchs suspected of money laundering. "It&apos;s an amazing moment of karma in the world of international justice," Browder told Fox News on Tuesday after learning of Veselnitskaya&apos;s indictment. He said the DOJ clearly has access to all relevant emails, meaning, "The Russians are not going to get away with anything." Russian President Vladimir Putin has long fought for the repeal of the Magnitsky law, versions of which have been passed in capitals around the world. Browder said the indictment, in turn, should destroy efforts by Veselnitskaya and the Russian government to fight the legislation. "I feel vindicated today," he said. The law eventually factored into the controversy over the June 9, 2016 Trump Tower meeting. President Trump’s eldest son, Donald Trump Jr., his son-in-law Jared Kushner and then-campaign chairman Paul Manafort agreed to take a meeting with Veselnitskaya, her translator, a Russian lobbyist and music producer Rob Goldstone. Goldstone initiated the meeting, billing it to Trump Jr. as one to get “dirt” on Democratic presidential candidate Hillary Clinton, according to emails. But according to the Trump campaign and its associates, the meeting did not deal with “dirt” on Clinton, but rather Russian adoption and the potential repeal of the Magnitsky Act. Browder told Fox News in 2017 that discussing Russian adoption was “code” for talking about the Magnitsky Act. The meeting caused headaches for the White House and is a topic of inquiry by Special Counsel Robert Mueller in his probe into Russian meddling and potential collusion with Trump campaign associates in the 2016 presidential election. Veselnitskaya, in an exclusive email to Fox News in 2017, said that she would have made contact with the Clinton campaign as well, if she thought the Democratic nominee could help Moscow in its anti-sanctions push. “I had never been looking for a meeting neither with Trump Jr., nor Sr., nor his team,” Veselnitskaya told Fox News in an email sent in Russian and translated to English by her translator. Veselnitskaya wrote, however, that she “had been told” Trump Jr. “could help” her bring information to members of Congress about the Magnitsky Act, which Moscow adamantly opposed. “If Hillary Clinton or anybody from her environment could have been such an individual [to help], I also would have passed that information [to her],” Veselnitskaya wrote. The lawyer has also been linked to Fusion GPS, the opposition research firm behind the unverified anti-Trump dossier. Fox News reported in 2017 that co-founder Glenn Simpson met with Veselnitskaya before and after the meeting with Trump Jr. and others.